At Papasikos Orthodontics, we use the iTero digital impression scanner to take accurate 3D mages of your teeth and bite. Our digital impression system replaces the uncomfortable and messy traditional dental impressions/molds. The iTero scanner digitally captures the structure of your teeth and gums using a compact, hand-held wand. Your mouth is scanned with a radiation-free laser, and, in as little as two to three minutes, the laser renders a digitally perfect, 3D impression of your teeth that can be viewed on our computer screen. 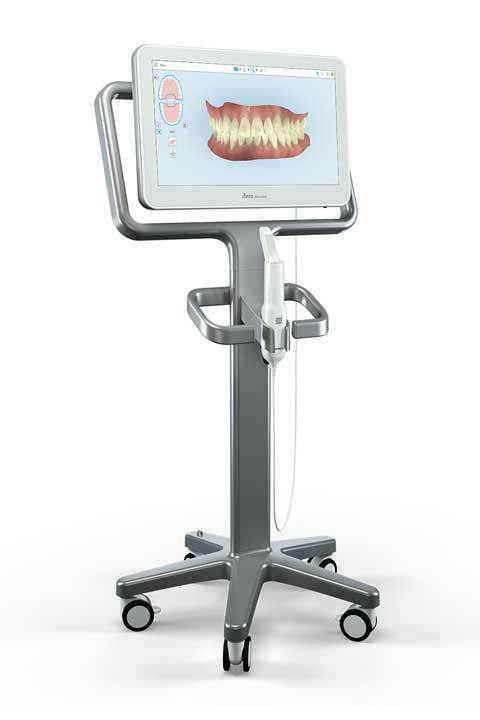 The iTero scanner can be used for any type of orthodontic treatment, including Invisalign. Our experience coupled with the use of our updated technology gives you the best possible outcome for your orthodontic treatment.